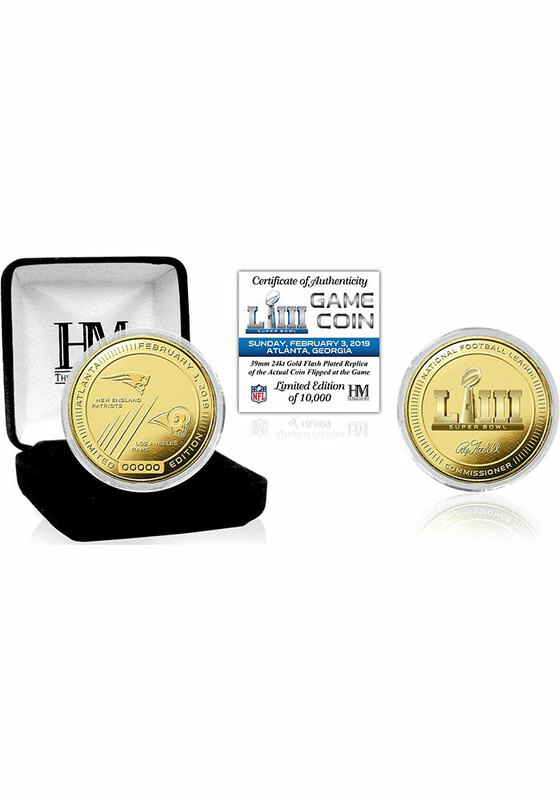 This New England Patriots Super Bowl LIII Gold Flip Coin Collectible is a fantastic addition to your Patriots collection. These Coin feature a licensed New England Patriots and Los Angeles Rams logo on one side. The other side features the official Super Bowl 53 commemorative logo.